My home looks like a carnival, there are these kinds of lamps everywhere (what do you call them in English?). Lizette, the cat (named after my baby sister), keeps me company. So does Johan. Lizette waves hi to Charlotte tonight! string or xmas lights we call them. I think they are great, especially in winter. It makes everything cozy. We call them fairy lights in Australia, I think the name suits them! 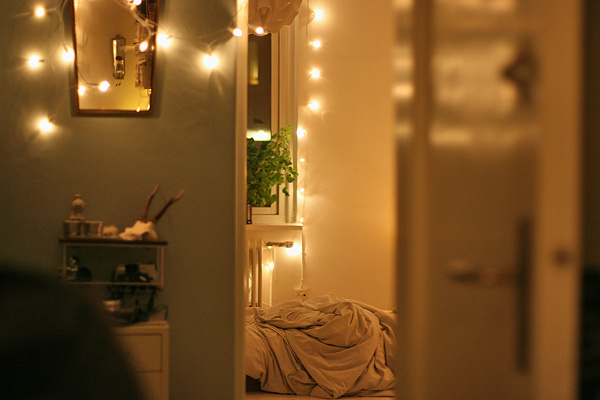 Your home looks cozy with those fairy lights :) Lizette is really cute. Looks so dreamy, we call them Christmas lights. 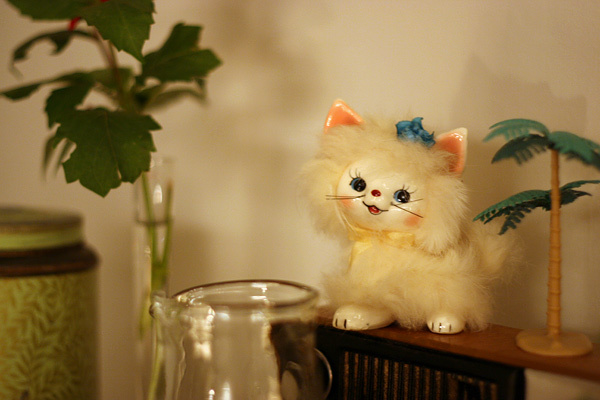 Hello fluffy Lizette! Beautiful! I'd call the beautiful lights Christmas lights. I saved the first picture onto my computer because it looks so warm and cosy with the twinkling lights! I'd call them fairy lights (I'm from the UK). They make your home look so comfy and warm. oh! How cosy! I adore your house... Makes me want to put up fairy lights in my place. I'd like to get some of those lights to make my place cozy. oh yes, let's call them 'fairy lights' no matter what language we speak. in swedish they have a pretty boring name; 'ljusslingor' (light festoons/creepers - bad translation though). I'm in the minority. I call them twinkle lights. your first pic is fantastic!